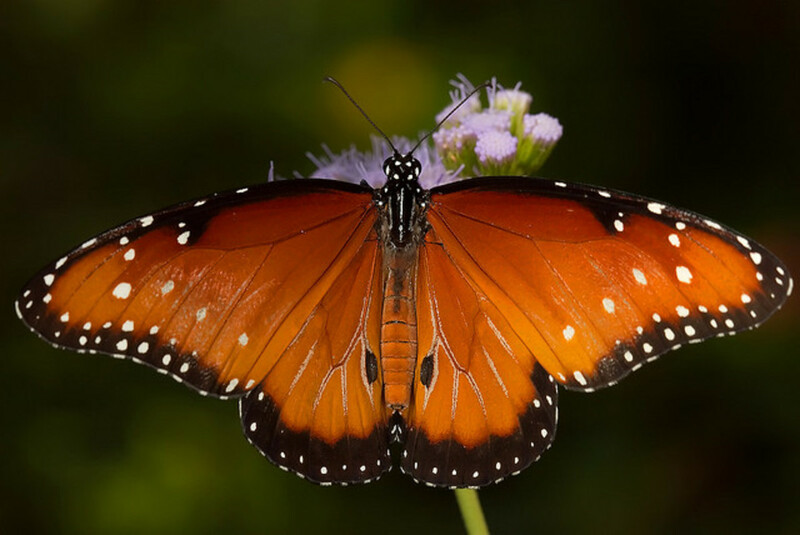 The Monarch Butterfly (Danaus plexippus) is an amazingly beautiful and well-known insect. With its large wings of a reddish-orange that are veined with black in contrast and with white spots on its wing-tips it is easily recognisable. 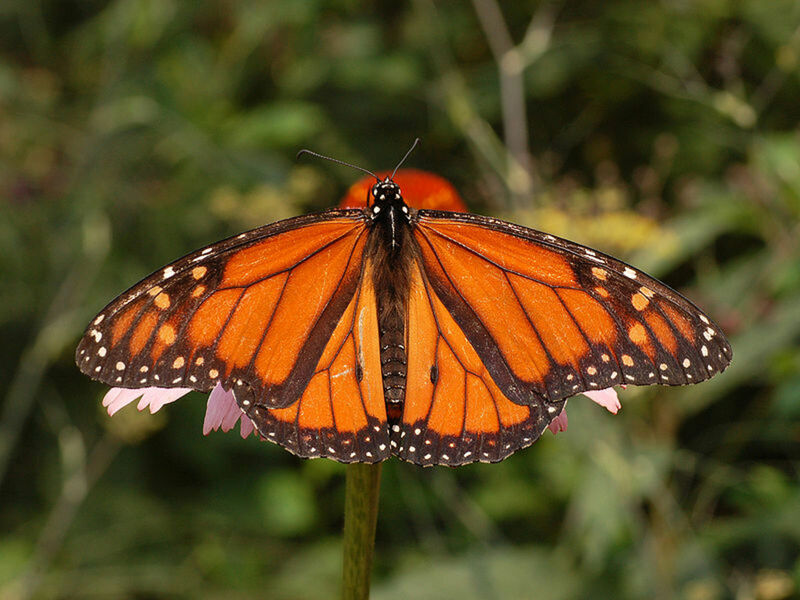 This is the true story of a Monarch Butterfly that was even easier to identify because she only had three wings, but more about this a bit later. The Monarch is also deservedly famous for its incredible migration route which takes in thousands of miles of North America. Each autumn the butterfly leaves the cold of the bottom of Canada and the most northerly States to head south for California and Mexico where they overwinter in vast numbers roosting in trees. In the spring it makes a return journey back to the north and the females lay their eggs on food-plants along the way. 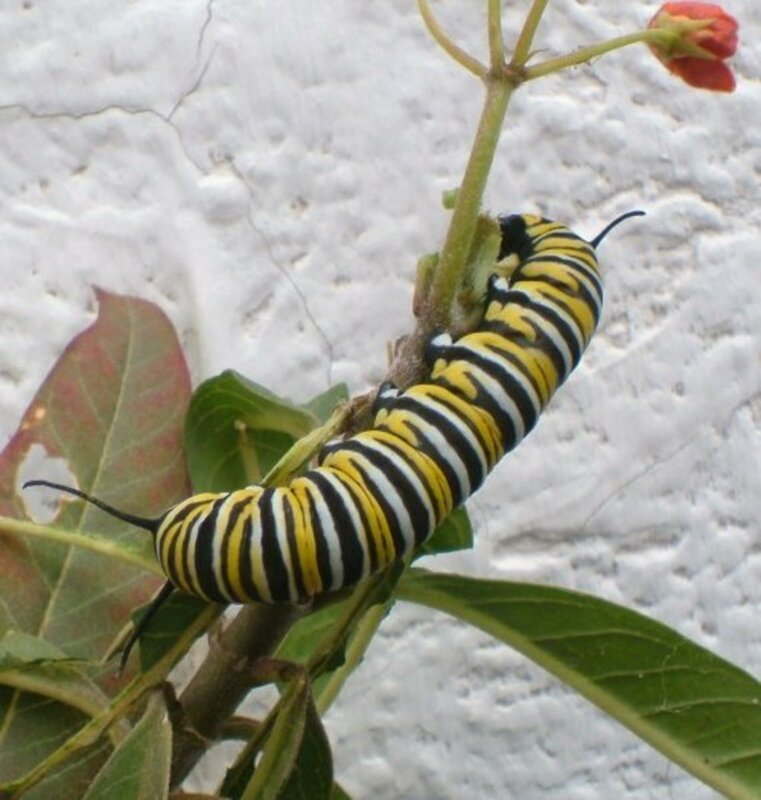 The Monarch Butterfly caterpillars can only feed on species of Milkweed (Asclepias). There are many different types that grow in America with some that are able to withstand the cold winters of the north and other subtropical varieties that grow in the southern States. The Monarch used to be a very common butterfly with no threats to its survival but sadly things have changed for the worst and now habitat destruction, pesticides, herbicides and Climate Change have all taken their toll. Genetically engineered crops of soya and maize are a new threat. These plants are “Roundup ready”, which means they are resistant to Monsanto’s toxic herbicide known as Roundup. This means that all other weeds sprayed with this stuff are killed and many of these plants are species of Milkweed that grow on agricultural land. 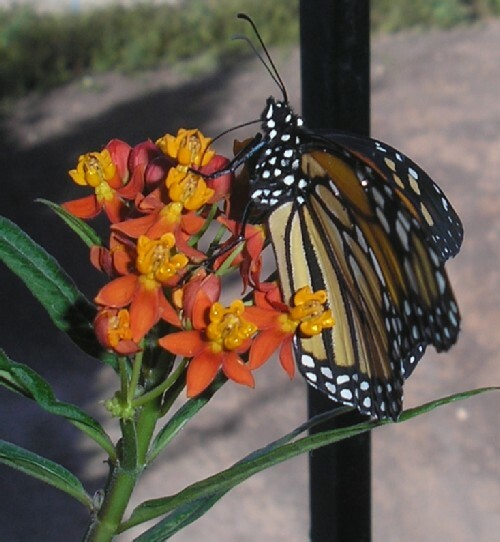 To help save the Monarch Butterfly many people are growing Milkweed and there are many varieties to choose from. 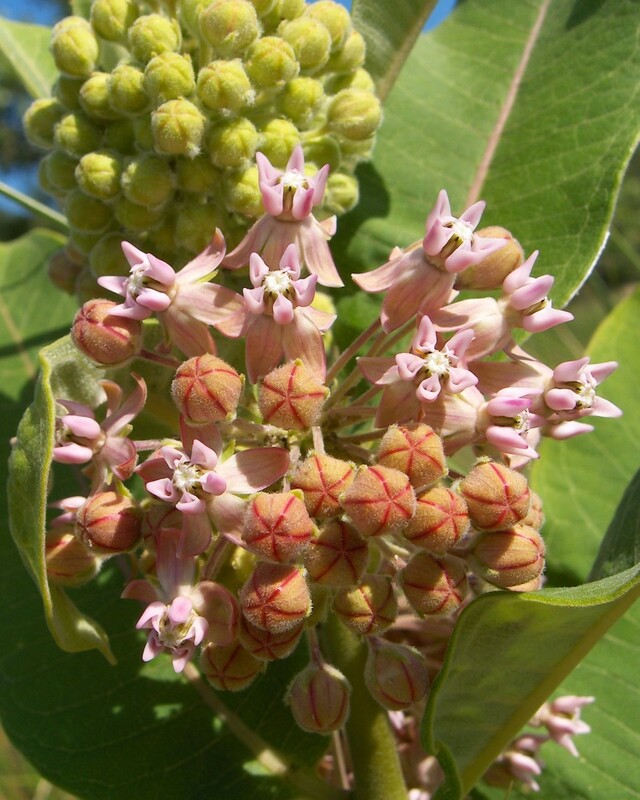 It is especially easy to buy Tropical Milkweed seeds and other species of Milkweed if you live in Canada or the US. There are plenty of suppliers on Amazon but most of them do no offer international shipping any more. 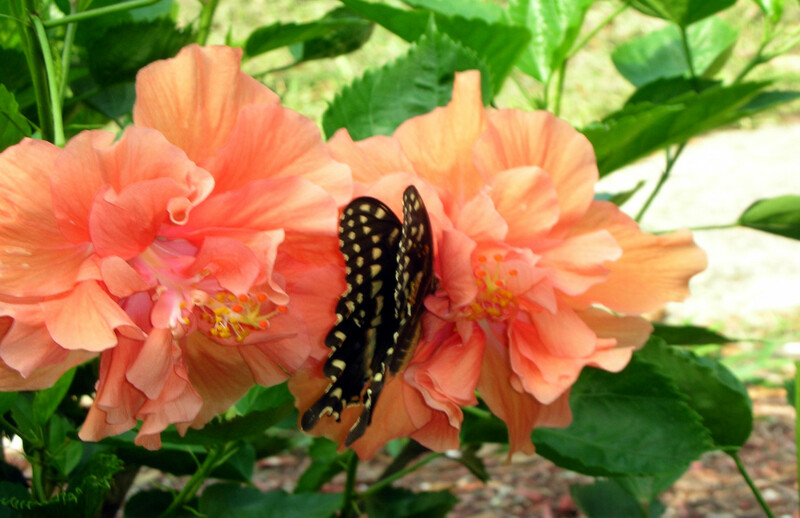 Growing this pretty flower in your garden is a wonderful way to help in the conservation of the Monarch Butterfly. 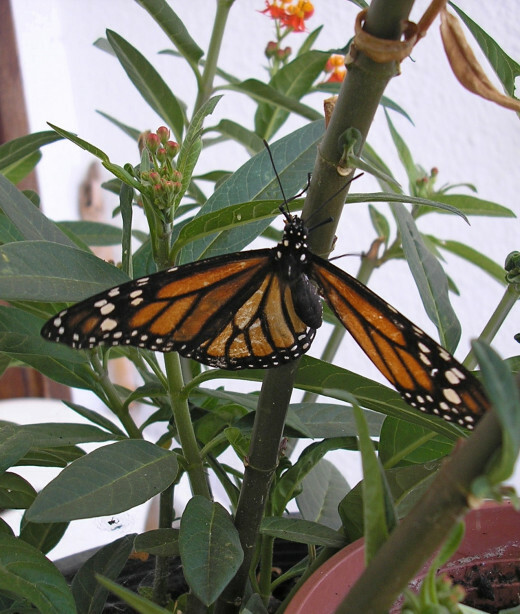 Over in the Canary Islands the subtropical climate all year around means that the Monarchs there do not need to migrate but they face another problem – shortage of food-plants. 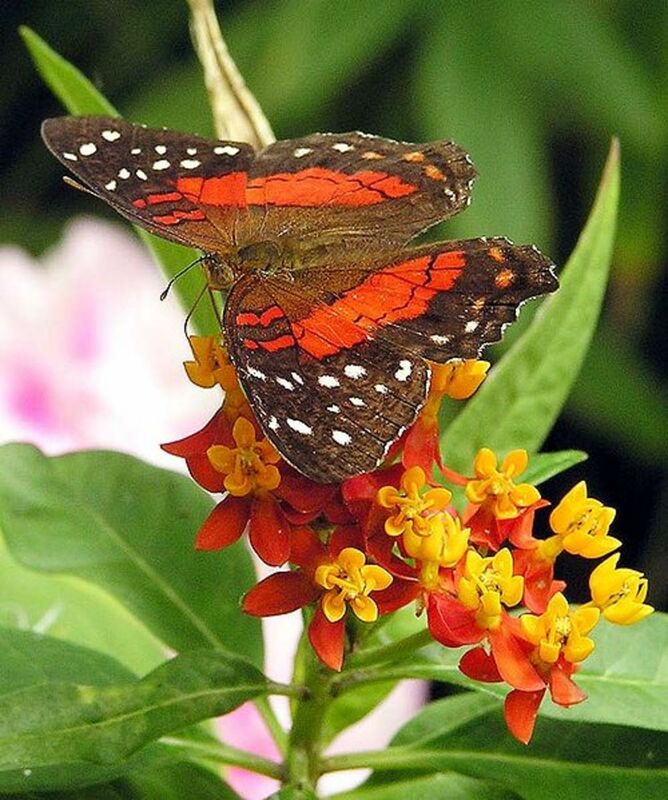 The Tropical Milkweed (A. curassavica) is grown as a garden flower but not many gardeners have the plant. This means the female butterflies have to seek out gardens and parks where it is growing and lay their eggs on the plants they find there. 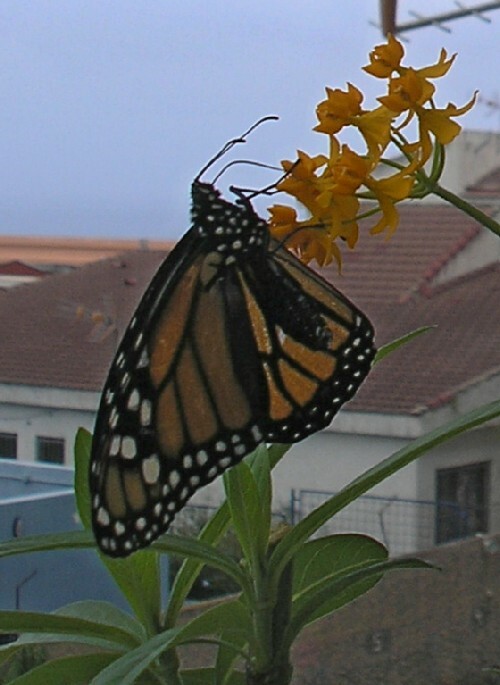 Actually the Monarch Butterfly was not originally native to Tenerife and the other Canary Islands but was able to colonise them because this plant was being grown for its ornamental value. Of course if too many eggs get laid on the same plant when the larvae hatch out there isn’t enough for them to eat and they can easily starve. I like to try to help these butterflies and so I grow Milkweed in pots on my balcony. I rear the caterpillars in big empty plastic water bottles. I cut into the plastic halfway down the container and continue cutting around so that half of it can be lifted up for access. I seal it with sticky tape. I put some tissue on the bottom and put the steams of the food-plant and the caterpillars in through the top. I have reared hundreds this way and have had as many as 50 adult Monarchs emerge in the same week. About a month ago I released 10 adult butterflies and happily watched them fly away. The week after though, I had to act quickly when I spotted my cat Tiggy had pounced on something out on the terrace. It was a female Monarch Butterfly. I grabbed the insect which was in shock and playing dead and put it up on a plant in a pot placed up on a wall where Tiggy cannot reach them. But I was horrified to see it only had three wings. I cannot be sure if my cat had broken the other one off or not but was wondering if the poor creature would still be able to fly. If it had been crippled I would have had to keep it somehow. Amazingly it soon recovered and flew away. Half an hour later, it returned and started laying eggs on the Milkweed plant I had placed out of my cat’s way up on the ledge. I moved the other pot up there too so the butterfly was safe if it stayed up there. This mother butterfly was undeterred by her horrible experience not so long back but had returned to where she nearly lost her life. She had found the plant she needed to lay her eggs on and that was her main priority..
Incredibly she continued coming back to my balcony several times every day for the next two weeks and laid far too may eggs for the plants I had to support. 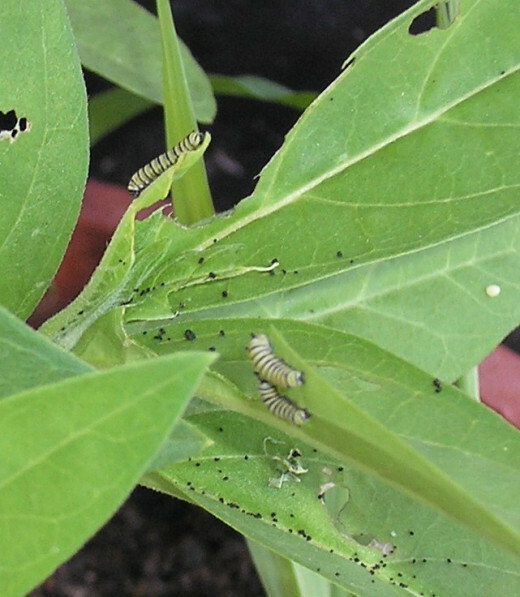 The caterpillars hatch within a few days here and I had eggs and larvae on the Milkweed plants. I took some to where there are more plants in flower borders in the resort town of Puerto de la Cruz and released them there and others I took to my friend’s farm up in Cueva del Viento where they had a few Milkweed plants and no caterpillars. The mother butterfly I think has probably died now or else she has given up coming to my balcony where there are no longer any plants for her to want to lay eggs on. I have had to feed them to the caterpillars I have here. I have successfully reared 12 of these to chrysalis stage and they will be hatching out within a fortnight to start the whole cycle over again, but hopefully next time there won't be any more mother butterflies that have to bravely fly on with only three wings! Wonderful article Steve, and lovely to hear the full story after our recent chat about Monarch butterflies.